The Best UK Investment blogs from thousands of top UK Investment blogs in our index using search and social metrics. Data will be refreshed once a week. UK Investment newsletter is a comprehensive summary of the day's most important blog posts and news articles from the best UK Investment websites on the web, and delivered to your email inbox each morning. To subscribe, simply provide us with your email address. London, UK About Blog Fool UK has online newsletters providing share tips and portfolio guidance, plus a share dealing service. We also cover investing and stock market news. Follow this site to get Tips, Investing and Stock Market News. Facebook fans 6,313. Twitter followers 10,998. London, United Kingdom About Blog Your complete guide to personal finance and investing with news, predictions, advice, guides and opinion from the financial website of the year. Follow us to keep up with financial predictions, advice & tips. Facebook fans 10,290. Twitter followers 49,249. London, UK About Blog Launched in 1995, Interactive Investor (II) is an award-winning, online investment service that provides retail investors with unbiased financial information together with the tools and trading environment they need to make confident and informed investment decisions. It is one of the UK's leading investment and trading websites. Follow this website to get more information on investing and much more. Facebook fans 10,768. Twitter followers 5,206. About Blog Here you will find property investment tips, training, mentorship, guides or videos. Property investing, like any investment carries risks. It's important to note that Results achieved in property or using our training course is only a typical and may vary from user to user. Follow this blog to discover Personalised Property Investment Deals, News, Insights and In-Depth Training. San Francisco, CA About Blog An investing subreddit focused on UK companies and news. Both medium/long term investments and short-term speculation are welcome here. Follow this reddit to get UK investment news and information. Facebook fans 1,189,155. Twitter followers 548,540. London About Blog Nutmeg is an online investment management service. Personal finance with a twist. The online investment service that's intelligent, straightforward & fair. Specialising in investments, ISAs & pensions. Capital at risk. Follow this site to get easy tips and tricks to investing that delivers excellent performance and value. Facebook fans 26,766. Twitter followers 20,642. London About Blog Schroders value investment team aims to provide greater insight into the area of equity investing and TVP. It is now the definitive resource on value investing in UK equities. UK based value investors share their thoughts and opinions on value investing on our blog. Follow us to keep up with insights on equity investing in UK. Facebook fans n/a. Twitter followers 3,238. London, UK About Blog Investment Week provides the latest investment news, analysis and opinion for wealth managers and the UK funds industry. Facebook fans 71. Twitter followers 17,282. Peterborough, England About Blog Progressive Property is a personal, nationwide networking and educational community for any property investor or entrepreneur who is hungry to make more money, invest more reliably, and lay a path to greater freedom, choice and profit. Facebook fans 47,189. Twitter followers 9,734. London, UK About Blog Master Investor empowers private investors to take charge of their financial destiny. We cover a range of subjects, from shares to pensions. The unique platform dedicated to all things investment related. Independent news, tips and daily blog. Facebook fans 11,512. Twitter followers 4,162. London, UK About Blog Talking investments, tax and personal finance with Mazars Private Clients. Mazars is an international, independent and integrated organisation specialising in audit, accounting, tax and advisory services. Facebook fans 1,765. Twitter followers 7,073. About Blog This blog will act as a real time version of my actions, investments and thoughts that will help me achieve this goal. So why don’t you come on this journey with me by following my story and seeing how you can achieve financial freedom as well. London, UK About Blog The latest investment and finance guides from OFF3R. Featuring news about robo-advisory, personal investing, P2P lending and equity crowdfunding. Facebook fans 374. Twitter followers 6,137. UK About Blog Investomania focuses on FTSE 100 share prices and FTSE 250 share prices. It is a UK investment site which focuses on news regarding shares and share prices. United Kingdom About Blog InvestorsEdge gives you access to a global database of Pricing, Fundamental, Dividend and Analyst Estimate data with a history stretching back to the beginning of the century. Our internet platform gives you a simple yet incredibly powerful way to use this data to design and develop highly profitable trading strategies. Facebook fans 87. Twitter followers 45. London, England About Blog Opening the door to investment opportunities usually reserved for the largest investors. Cogress is an exit-oriented property investment company that offers a private equity platform connecting property developers & investors. Facebook fans 5,526. Twitter followers 2,417. Birmingham, UK About Blog Buffett and Bogle are right — the best way to invest is to buy and hold a low-cost and highly diversified portfolio of assets for a very long time. My goal is to inform investors about what the evidence says; to explain why we don’t hear more about it; and to help like-minded financial advisers to communicate the benefits of an evidence-based approach. Facebook fans 76. Twitter followers 16,434. UK About Blog FundExpert.co.uk is an online initiative of Dennehy Weller & Co, independent financial advisers. Dennehy Weller & Co was originally established in 1987. Our considerable experience and wide-ranging independent research is reflected in our being one of the few advisers regularly asked to comment in the National Press. Facebook fans n/a. Twitter followers 614. London, England About Blog Learn how to deal with personal finance, investments & savings in a simple way. This blog provides some great side income tips and career-building articles. London About Blog Commentary on bond markets by M&G's retail bond team. Follow this blog as it shares our views on the things that matter to bond investors - inflation, interest rates and the global economy as well as talking about the bond markets themselves. Facebook fans n/a. Twitter followers 34,774. UK About Blog VectorVest was created more than 23 years ago with the intention of helping investors make Faster, Smarter, Better Stock Market decisions. Stock Analysis and Portfolio Management System. Anybody can make money in the stock market with VectorVest UK’s award-winning stock analysis and portfolio management system. The fast and easy way to invest in the market. Facebook fans 503. Twitter followers 117. London, United Kingdom About Blog Investing for Everyone. Our mission is to empower people to take charge of their financial lives by providing them with the education, resources and opportunity to become real investors. Facebook fans 64,194. Twitter followers 11,132. London, England About Blog Welcome to my blog! My name is Henry Viola, I'm an investor, communications expert, and personal finance writer based in the UK. I started writing this blog back in 2015 and since then have written more than 100 articles about income investing, personal finance and communication as well as a smattering of political commentary. London About Blog Invest in property assets that pay you. Current trends, news & product releases. UK property investments, high yielding income generating assets, student property, care homes & buy-to-let properties. Facebook fans 8,800. Twitter followers 631. Oxford, UK About Blog The Award Winning International Property Investment Specialists. The UK's leading international property and alternative investment specialists. Facebook fans 5,238. Twitter followers 3,374. United Kingdom About Blog Property Investments Made Easy. FJP Investment offers investment opportunities to retail investors interested in alternative investments. UK and Overseas property investments available. Facebook fans 2,127. Twitter followers 23,838. Scotland, United Kingdom About Blog A blog about UK equity crowdfunding and how platforms like Crowdcube are using business plans to deceive investors. FCA unwilling to act. Facebook fans 199. Twitter followers 1,340. United Kingdom About Blog Take Control of your Finances. Our mission is to define and unite a community of self-directed investors; give them the information and education they require to make informed investment decisions and take control of their financial futures. Facebook fans 22. Twitter followers 3,133. United Kingdom About Blog Euromoney Institutional Investor Thought Leadership creates thought-provoking content for global business leaders. With a team of independent journalists, experienced editors and professional marketers, we create reports, surveys, blogs, articles, videos and infographics. Facebook fans n/a. Twitter followers 68,885. Chelmsford, East About Blog I am Rob Carver; an ex Hedge fund manager and derivatives trader, economist and statistics/finance geek. Robert Carver writes about investment and trading. Systematic Trading, Quantitative Finance, Investing, Financial Activism, Economic decision making. Facebook fans 96. Twitter followers 1,567. London About Blog I started my financial services career back in 1987, and have been providing a wide range of clients with financial planning advice for more than 25 years.This Blog enables me to write about the things which interest me the most – not always to do with personal finance. UK About Blog Quality UK Investment Blog. Some of you may already recognise my name, as I wrote investment articles and e-mails for The Motley Fool UK between 1999 and 2014. At the start of 2015, I became a full-time private investor. I created this Blog simply to collate all my investment posts in one place, rather than have them spread over various websites. London About Blog Peterhouse Asset Management is a fund management company comprising of a team of highly experienced investment and client relationship managers. We manage a range of mixed asset, bond and equity funds on behalf of both private individuals and institutions. Our track record has come from managing money through many different market and business cycles. West Midlands, England About Blog Welcome to Pounds and Sense. My name is Nick, and I am a 60-something with a particular interest in personal finance and investment matters. I am a semi-retired freelance writer living near Lichfield in Staffordshire, UK. Facebook fans 32. Twitter followers 400. United Kingdom About Blog Fundamental Asset Management Limited is a specialist investment management firm with particular expertise investing in AIM for inheritance tax planning. Before making any core investment, we take the time to conduct in-depth market and company specific research, making sure we are working hard for investors. Facebook fans n/a. Twitter followers 1,001. About Blog Investing blog, will be largely aimed at smaller capped companies flying under the radar of the big fish, hopefully will evolve into something bigger like an investment website etc in the future. London About Blog The Foundation for Social Investment. We Increase access to social investment, providing charities and social enterprises with finance and support at the beginning of their development. Facebook fans n/a. Twitter followers 1,826. About Blog A simple approach to successful personal investing with the goal of generating a growing income from a portfolio including cash savings, shares, corporate bonds and government-backed investments, using online savings and brokerage accounts and shielding your investments from tax wherever possible. This approach will be mainly targeted at UK investors. Up North, UK About Blog This blog is designed to record the investment journey of a UK based small investor. I hope to make a modest contribution to the collective wealth of investing knowledge made freely available to ordinary people. London SW1, England About Blog ShareInvestors.co.uk - Share blog focused on UK stocks. I am an experienced full time private investor and this blog focuses on my commentary and analysis of shares. Facebook fans n/a. Twitter followers 842. Mayfair, London, UK About Blog We are a private equity house that provides investors with tax efficient investment opportunities in exciting, high-growth businesses. Facebook fans 13. Twitter followers 469. London, England About Blog Home of The Start-Up Series - the UK's largest ever seed funding competition - for entrepreneurs seeking funding and for investors looking to find prosperous SEIS start-up businesses to invest in. Facebook fans 2,346. Twitter followers 80. Wilmslow, Cheshire, UK About Blog Equilibrium Asset Management is the award winning Chartered wealth management company that offers genuinely personalised financial planning, giving clients confidence now and in the future. Facebook fans 333. Twitter followers 1,450. United Kingdom About Blog Helping you engineer your way to financial independence. Welcome to The FIRE Engine, sharing stories and strategies to help you progress towards financial independence and early retirement. London About Blog Personal Investment Blog. Crow Knows is a website about personal investment. Its main purpose is to improve the investment performance of the author by setting out his investment rules and observations in public in the hope that he is obliged to stick to the former and can benefit from the logical implications of the latter. About Blog I launched this website in January 2012 so that I could share with other investors how I manage my investment portfolio; the JIC Portfolio. I focus my efforts on searching for companies where the growth prospects are not reflected in the share price. I especially like companies that are beating expectations, providing the added benefit of a potential re-rating on upgraded forecasts. About Blog For almost two decades we have been international estate agents advising our clients on their property investments and due to the significantly higher returns, our entry into the marketing of PBSA property was inevitable. We are agents for many of the best projects underway throughout the UK, all of which are truly hands-off property investing that produce profits from day one. Facebook fans 512. Twitter followers 24,283. Rushden, United Kingdom About Blog We offer a comprehensive service for all your Investment, Retirement Planning, Inheritance Tax and Protection needs. Facebook fans 27. Twitter followers 2,442. About Blog The Colchester Farm Blog updates latest posts about Investment. 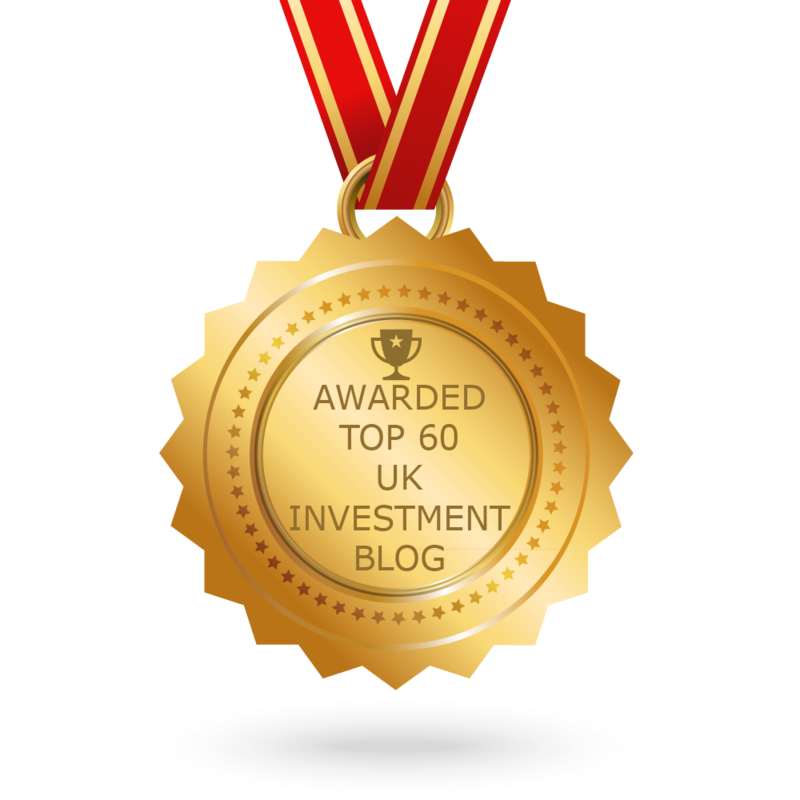 CONGRATULATIONS to every blogger that has made this Top UK Investment Blogs list! This is the most comprehensive list of best UK Investment blogs on the internet and I’m honoured to have you as part of this! I personally give you a high-five and want to thank you for your contribution to this world.